An election, a recession and currency fluctuations are enough to cause most market sectors to take a breather. Not so in ICT. It’s a compliment to our industry that it can weather the extremes. Business makes the world go round and today’s businesses run on servers, storage, networks, applications along with the services to install, support and upgrade them. There are lots of success stories out there about businesses using IT to differentiate themselves. While there were the usual comings and goings in 2008 – a merger between EDS and HP, shake-ups at Ingram Micro and IBM revamping its distribution model – business has continued apace. In fact, the key trend of 2008 for New Zealand resellers has been the absence of ‘big stories’. Lots of little stories to be sure, but most vendors, distributors, resellers and integrators are just getting on with things. It’s a true compliment to our industry that we can weather thick and thin without too much drama. Neither can you get too excited when the economy is booming and over extend yourself, nor can you panic when the headlines scream doom and gloom. Business makes the world go round and today’s businesses run on servers, storage, networks and applications, along with the services to install, support and upgrade them. And that’s exactly what this industry is about. There is no glossing over the fact that the high times are fading. With the falling NZ dollar, our IT imports are no longer dirt cheap. However, the flipside is that any services we export – a growing sector – are now much more cost-effective for overseas buyers. And higher prices mean more margin. But with a general slowdown in the economy, companies have been forced to make adjustments – one of the trends we saw in 2008 was a spate of mergers and acquisitions. The big one, of course, has been the acquisition of EDS by HP, announced in May. HP is the largest ICT supplier in NZ by revenue and EDS is the largest ICT employer. Between the two, they have revenues close to $1 billion. With HP’s focus on hardware and product support and EDS’ expertise in professional services, the match-up could be a potent rival to global service/hardware provider IBM. In New Zealand, the combo would give them the edge over market leader Gen-i. While the merger might mean a wider range of services for both HP and EDS clients, there is a certain amount of duplication of effort between the two entities. As both companies are global in reach, there has been a level of retrenchment worldwide, with plans to shed 24,600 employees globally, approximately 7.5 percent of the combined HP-EDS workforce, over the course of a three-year phased programme. 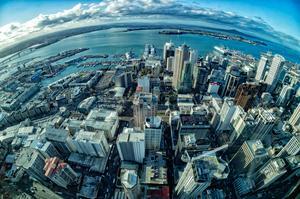 The combined businesses have around 3300 employees in New Zealand. Both HP and EDS spokespeople are downplaying any massive staff cutbacks in NZ but, at the time of writing, the jury is still out, with "wherever possible we will redeploy and reskill the affected individuals to meet our growth requirements" being the more or less official line. An ominous sign, however, has been a merger-related restructuring in Australia that saw 75 EDS jobs cut in October. On the local scene, Maclean Computing has been building an impressive track record for acquisitions. In August, Maclean bought ATL Systems, which not only provided additional clients and staff, but also gave it a Wellington presence. This has been its sixth major acquisition over the last few years and is expected to boost its total staff to well over 75 people. Maclean also upgraded its portfolio with MessageLabs to help support its hosted security services. Consolidation was a strategic move for Intellium, a new services firm formed by the merger of Expert Solution Providers (ESP), Tenet Management Group and Optimum Networks. The new firm, with headquarters in Auckland's Newmarket, will focus on a wide set of offerings including managed services. Microsoft and IBM specialist Integral was also continuing along the acquisition track with the September purchase of Auckland-based firm APL Plus. The move, which gives Integral more than 130 staff, will help it achieve its stated goal of becoming a $50 million company. 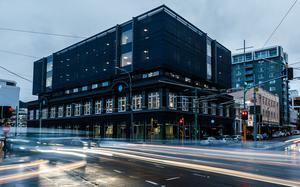 Two iconic Kiwi companies merged to create a combined photographic powerhouse. HE Perry, formed in 1932 and Lacklands, in business since 1949, have amalgamated under the Broadway Industries’ banner. The annual turnover will be in the $25 million ballpark. Elsewhere, email and web security software company Marshal is to merge with 8e6 Technologies, a US-based developer of web filtering appliances and technology. The merger will double the size of Marshal and form a new company called Marshal8e6. In April, Auckland-based distributors Packet Engines and Crawford Technologies merged to become Packet Technologies, with plans to extend the new company’s vendor base. The company will focus on data centre products, WAN optimisation, security, networking and convergence. With more hook-ups, break-ups and make-ups than Shortland Street, the vendor/distributor relationship soap opera showed no signs of slowing down this year. Synnex continued its rapid rise in fortunes. It added consumer/SME network specialist Netgear to its stable in August, then Asus notebooks and LCD monitors and Samsung Pleomax PC accessories in May. Not bad for a company that just celebrated its 3rd birthday in September. Soft Solutions was also busy adding vendors with some new key agencies. In October, it signed up to distribute US-headquartered AdventNet’s ManageEngine enterprise management and security range. To tap into the growing thin client arena it became the exclusive local authorised distributor for Go-Global, another US-based application developer. It was also appointed the first international master reseller for Aussie security software-as-a-service (SaaS) company Webroot. But Trend Micro, which has benefited from Soft Solutions’ sweat equity over the years, expanded its distribution model by appointing Ingram Micro as its second local distributor for its enterprise range. “We’ll just have to fight harder to retain the local business,” says Soft Solutions' Paul Leslie. The security scene also went through some transitions this year. Value-added distributor Chillisoft (which celebrated its 10th birthday in September) became the local agent for Kace’s range of Kbox security appliances; eXeed, which has been primarily an HP distributor, expanded its portfolio by adding unified threat management (UTM) vendor Watchguard Technologies. In September, Dove Electronics picked up Russian security vendor Kaspersky’s boxed Internet Security and Anti-Virus products for consumers. It hopes to build on Kaspersky’s global reputation for excellence. And Value Added Distributors (VAD) scored the IronPort security appliance agency after IronPort opened a local office late last year. On the downside, MPA and security vendor Fortinet split up with Fortinet going to Ingram Micro to tap into the SME space. IBM took its share of ink this year with a review and revamp of its software brands, including Tivoli, Lotus and Rational. At the expense of Express Data, which had exclusive rights to the offerings for six years, IBM appointed Ingram Micro as its second software distributor. Ingram is already an IBM hardware vendor so the addition gives it the opportunity to bundle solutions. Datastor also benefited from the IBM review with the addition of Tivoli solutions to its portfolio. This also gives it greater flexibility to bundle products. To facilitate the more diverse distribution model, IBM is in the process of simplifying its licensing procedures and upgrading its channel partner programme. Datastor was also on the hunt, picking up Wyse thin clients (to compete with Express Data and MPA) and the IBM pSeries enterprise-level servers. Both of these products will complement Datastor’s move into the virtualisation space – Datastor is the exclusive local distributor for VMware – especially with VMware’s Virtual Desktop Infrastructure. Elsewhere, Comworth Systems (celebrating 25 years in business last month) expanded its data duplication offerings with local rights to US-based Microboard CD/DVD production systems and Japanese vendor Taiyo Yuden’s CD and DVD media. This complements its Rimage range of CD/DVD disk publishers. Snapper Network Distributors signed deals with network attached storage (NAS) vendor QNAP and IP telephony specialist Snom. SnapperNet sales manager Richard Paul describes the partnership with QNAP as the result of a ‘chance encounter’ at a trade show in Taiwan. MPA took virtual desktop vendor NComputing off of Ingram Micro and Westcon Group (formerly Lan Systems) added Emerson Network Power, an extension of its relationship across the Tasman. Ingram Micro beefed up its display capabilities by signing up AOC, one of the world’s largest LCD manufacturers. Taiwanese consumer technology vendor BenQ has returned to the local market, represented this time by distributors Morning Star and Datastor. We also saw a new distributor come into the market. Aussie-based Altech opened for business in April and has been busy making inroads into an already crowded market. It specialises in components. With ever more competition for reseller ‘mindshare’, vendors have been extremely busy making their channel partner programmes more user-friendly, more accessible and more beneficial. No vendor can compete without productive resellers, and this year vendors are offering more promotions, more rewards, more sales and more technical training. One trend we’re seeing more of is the appointment of business development managers (BDMs). Many vendors and distributors are bringing on BDMs who can help with quotes, system design, ad hoc training and generally be there for resellers who have special needs. For instance, Ingram Micro has brought on BDMs for specific markets, while Fuji Xerox was able to add 50 resellers after appointing a South Island-based BDM. So clearly, those vendors that invest in the channel reap the rewards. Partner programmes are the foundation of almost all reseller/vendor/distributor relationships. This year we saw vendors redouble their efforts to keep their channel partners happy. But, at the same time, vendors asked for commitment in return. For instance, Renaissance required resellers to become certified if they wanted to be able to purchase iPods from them. Renaissance was also in the process of setting up ‘Frontrunner’, a channel reseller programme to support their distribution of NEC products for the SME market. Almost all of the major vendors have refined their partner programmes in one way or another. VMware revamped its VIP scheme to provide easier access for reseller support and rebates; EMC, VMware’s parent company, introduced a two-tier partner programme with increased rewards and incentives; NetApp promoted professional services for the channel by providing more training via its ‘Authorised Professional Service Partner’ (APSP) programme. Sybase also looked to update its image via a renewed focus on partner training. 3Com, trying to recapture the market and mindshare it has enjoyed in the past, relaunched its Focus partner programme with rewards for ‘competence and commitment’ as well as sales performance. HP, promoting its ‘Print 2.0’ strategy, rolled out a three-tier channel programme in May to target enterprise customers by helping them optimise printing infrastructure. Due to an ‘aggressive reseller recruitment drive’, security vendor Kaspersky experienced ‘explosive’ growth for its channel partnerships. And Intel announced more benefits for partners under its Flex+ points-based programme. These are just a few of the many upgrades, revisions and enhancements to the sales infrastructure that vendors have been working on to provide the necessary support to keep the channel well-informed, well-compensated and highly motivated. 2008 saw the spotlight zoom in on the services space. With historically low list prices for hardware of all sorts, local companies are redoubling their efforts to expand their service offerings. This has been effected by mergers (HP/EDS), acquisitions (Maclean/ATL) and new agencies that support the SaaS model and managed services. Companies are also expanding their services outside of their traditional areas of business. HP is getting into the hosted email security space while Renaissance has set up a new business division to develop markets for a new data insurance service. Microsoft, at its Worldwide Partner Conference, announced a programme – expected to kick off in NZ next year – where resellers could offer Microsoft hosted services and software to their clients and earn significant margin. Services to resellers are also gaining in popularity. Ingram Micro’s Intersell initiative, in which resellers can take individual components of e-commerce web services and integrate them into their own websites, has already attracted a lot of interest. APC has added a raft of new services for its partners, including carbon footprint assessments, data centre design and training. All of these can be rebranded for onsale to clients. And speaking of training, market leader Auldhouse and ACE Training each had stellar years, with ACE the first to offer Microsoft Official Distance Learning (MODL) and Auldhouse notching up its best year ever. Auldhouse was also named Microsoft’s Learning Solutions Partner of the Year. 2008, as always, saw promotions, departures and returns. Here at NZ Reseller News,editor Louis van Wyk handed over the editorship to long-time industry insider Chris Bell. And senior account manager Grant Clothier, who has known (and shared a chardonnay with) almost everyone in the industry, left this year for greener pastures in Wanaka. Another old time IDGer, Doug Casement, was appointed group marketing manager at Renaissance. Doug brings years of experience and many personal relationships – especially in the media – to the role. Elsewhere, Carla Thornton of D-Link was promoted to New Zealand commercial business manager; Netgear brought on Phil Presnall as NZ regional manager, Vivienne Larsen was appointed country channel manager at EMC and Ken Fairgay was brought in to head up Optimation’s sales and marketing team. And Jay Miley, who came to Ingram Micro in January 2007, turned over the reins to Gary Bigwood as he was promoted to be the distributor’s Sydney-based VP and managing director for Australia and New Zealand. Next year, who knows. Given the amount of talent we have here in NZ, the strong infrastructure in place and a good, old-fashioned work ethic, you can bet that we in NZ will weather the global economic challenges as well as anywhere in the world. And that is a comforting fact for all of us. Each year we see all sorts of prognostications for the future. But rarely do we see the follow-up. Here is the score card for 2008. The Reality:	Maybe next year? The Reality:	Let’s make this one happen!